The village of Longniddry lies on the East Lothian coast twelve miles east of Edinburgh. It has beautiful beaches, popular Golf Courses and award winning food and drinks establishments, all reachable within a distance of 1 mile. East Lothian is arguably the finest stretch of golfing coastline in the world and commonly known as the Golf Coast. 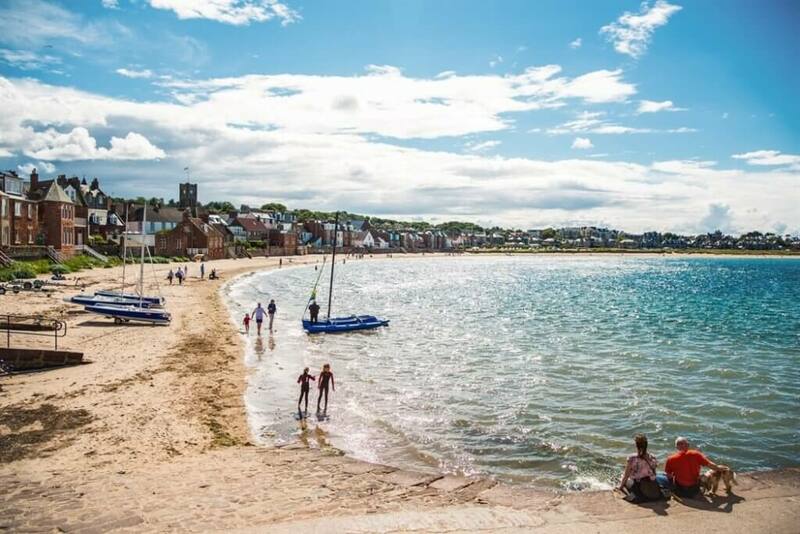 A wild and undisturbed beach, Seton Sands has a mix of both sand and rocks to guddle about in, providing an ideal location for family day trips. The beach provides good walking and horse riding while windsurfers and canoeists often use the sea. Gosford House, based here in Longniddry, is an imposing neo-classical mansion which was one of the last great architectural commissions of the celebrated Scots architect, Robert Adam. It is set in 5,000 acres of combined coast and parkland and close to the celebrated golf courses of Muirfield, Gullane and Craigielaw. Longniddry Gosford, a long sandy and rocky beach is accessed easily from the road and car park. It is close to nature reserves and there are a lot of birds to be seen feeding when the tide is out. It is a great beach for blustery walks during the winter as well as family visits in the summer. To find out what what East Lothian has to offer you during your visit, you can take a look at the Visit East Lothian’s website. Further information on what to see and do in East Lothian can be found here.